We're all a little genre happy this week. Adam Riske: Stephen King's Thinner (1996, dir. Tom Holland) In the arena of weight loss movies, Stephen King's Thinner is better than Dallas Buyers Club. There's something about the rhythms of a Stephen King adaptation that I enjoy, which makes me forgive their faults. They are comfort food to me. 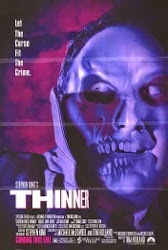 I re-watched Thinner (directed by friend of the site Tom Holland)) last October and enjoyed it more than ever largely due to the impressive makeup effects and the movie's dark sense of humor. The lead actor, Robert John Burke, is not the best, but he's entertainingly bad and Michael Constantine is great as the gypsy father. I could listen to that guy talk all day ("Die clean, white man from town. Die clean."). This movie is super entertaining and a prime example of good trash. You should watch it. If you don't, I don't really care. It's ok. I'm not going to tell you how to spend your weekend. It's just a suggestion. Heath Holland: Chinatown (1974, dir. 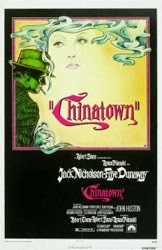 Roman Polanksi) Chinatown used to be on Netflix (JB recommended it for Netflix This Movie! Vol. 3, way back in 1986), but it went away for a while. Thankfully, now it's back. This week I wrote about aging actors and referenced Jack Nicholson as one of the major Hollywood players who had a hand in creating movies as we know them. Well, this is one of those movies that shaped not only his career, but the landscape of film for at least a decade. It's a powerful noir made during a time when noir movies weren't really being done anymore. I'm not sure if Nicholson has ever been cooler than he is in Chinatown. JB: The Avengers (2012, dir. Joss Whedon) Look what I FOUND! 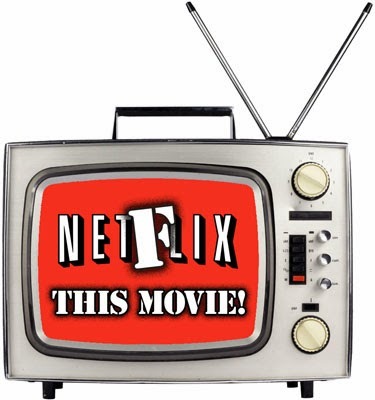 Sometimes a little canoodling on the old Netflix machine yields results like THIS! Has anyone even HEARD of this one? Did this go direct to video or direct to cable, and NONE of us noticed? Apparently, with the success of Iron Man and Thor (I'm just speculating here; I really don't know) Marvel threw together this quickie project with ALL their famous superheroes as a desperate cash grab, but do you know what? It's really A LOT of fun. It reminds me of the monster rallies concocted in the early forties by Universal Pictures that would feature three, four, sometimes six famous monsters in a single film. Sure, the results were mostly intended for small children, but who cares? 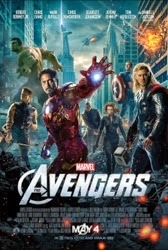 This "Avengers" project even features one of my favorite "indie" actors, Mark Ruffalo, as the Incredible Hulk. Who would have guessed that Ruffalo would pull off that acting challenge far more successfully than either Eric Bana or Edward Norton? Was this movie even RELEASED? I love when Netflix includes these smaller, more obscure films that are "off most people's radars." WHAT A FIND! Patrick: Dragonslayer (1981, dir. Matthew Robbins) Know what movie came out on DVD and Blu-ray this week? The Hobbit: The Desolation of Smaug. Know what that movie had going for it? A cool dragon. Know what movie has an even better dragon? 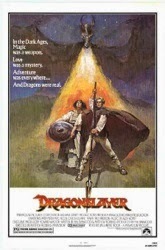 Dragonslayer from 1981. Know what else that movie has? Foot eating. I once wrote a whole column on the movie, so hopefully you will read it. This is a dark, violent fantasy movie produced by Disney featuring the best movie dragon of all time. How have you not seen it yet? Somewhere Sean Connery just read Patrick's pick and cried. Then slapped his wife. Man, Dragonslayer. I even read the novel of that when I was a kid. Oh hey, an entire section of dead maidens on the way to the dragon's lair!